Saying that Benjamin Sean Quinn had "anger issues" was an understatement. For those who knew him for the shortest amount of time, his life was in order: He was physically fit, had a great job which provided him a house in the suburbs and the material things he desired, a loving, monogamous relationship, two happy, healthy daughters and an established circle of friends. In all accounts, his life seemed perfect. But to those who knew him the longest, they knew he was an idle grenade, waiting for someone to pull the pin. For decades, Ben did his best to conquer his demons; to suppress the anger he accumulated towards his parents, Carmella and Sean, throughout their tumultuous marriage. Ben was their only child; forced to witness and experience things that most adults couldn't even try to handle. He could not escape them or the anger, and no matter how hard he tried, as he matured, it became a part of him. Ben strived to end the toxic cycle and avoid adopting their pattern as part of his own life. By the time he reached his early thirties, he finally seemed to have it all under control. Then Ben's father told him a "secret". One left in Montana when he and Carmella were stationed there forty years earlier. It would exhume the painful memories and suppressed anger that Ben had been avoiding for years and force him to relive his past in order to face his future. Today Benjamin Sean Quinn boards a plane to Billings, Montana. It was time to face the secret head on and let go of the anger that silently ruled his life. It would be the boldest move he ever made, ultimately changing his life and the lives of those around him. 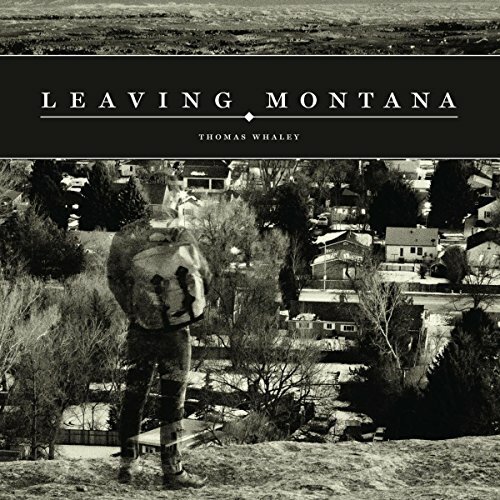 Leaving Montana is the recipient of both the 2015 Eric Hoffer Award for a Small Press Published work and also the 2015 National Indie Excellence Book Award for Literary Fiction! ©2014 Thomas Whaley (P)2015 Audible, Inc.
Great storytelling to an interesting story! Mr. Whaley captures a bit childhood perceptions and how they effect us in this great life story. You become a part of this family's ups and downs wanting to see what becomes of each character! Nicely done! Easy to read and totally captures your attention throughout! My kind of book! Can't wait for the next story from this emerging author! This book was really just about how a man who can't control his anger repeatedly abuses his wife and son. If I wanted to read such a depressing story I'd pick up the newspaper, not some fictional story. I shouldn't have wasted my time listening to this book. This book is a captivating jewel. Written in the first person, the narrator recounts an appalling marriage and its consequences for their only son. Told with humor, insight, warmth and optimism, it's a delightful listen. You'll sniffle, giggle and become thoroughly absorbed.